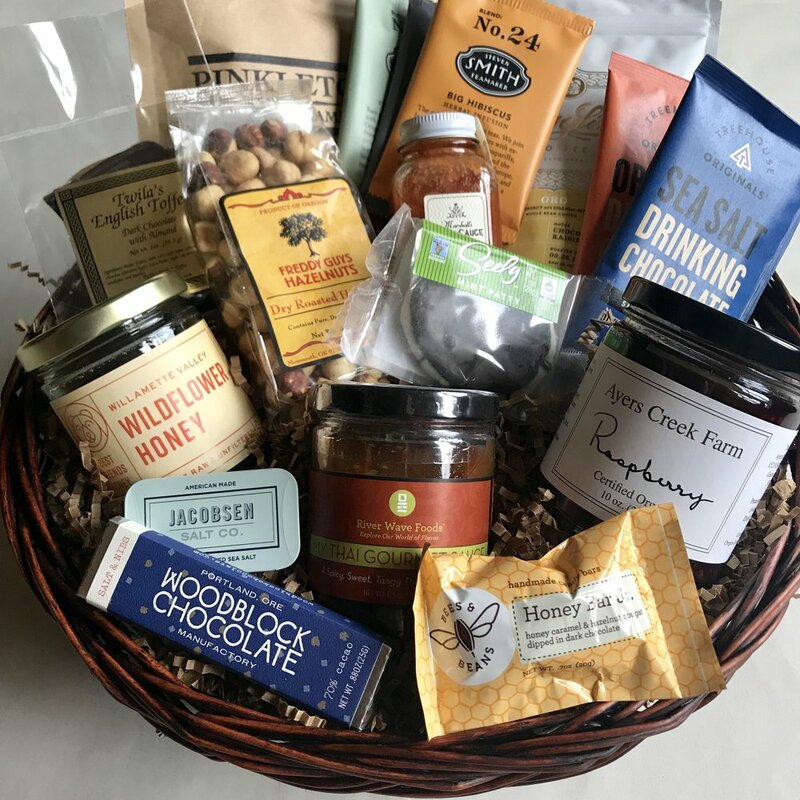 An assortment of sweet and savory artisan creations from the very best of P-town. Share the best of Portland with clients, office mates, family and friends. All goodies can be shared family style. Just open and enjoy! An array of hand-crafted goodies and imbibing pleasures. These baskets contain beer and/or wine. 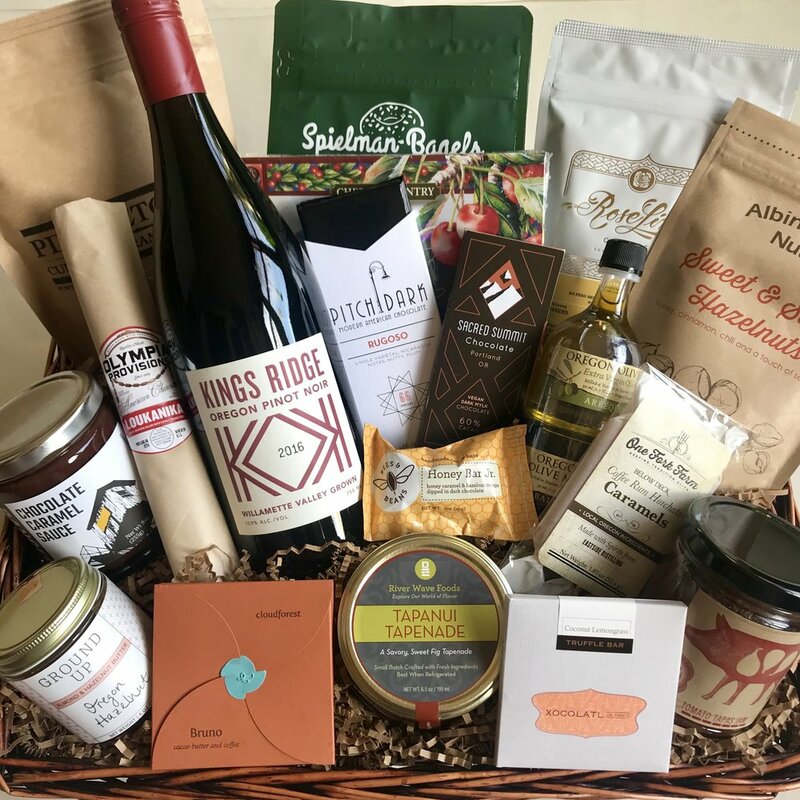 A perfect gift box of artisan goods from Portland’s ever-changing food scene. Wanting just a bit more? 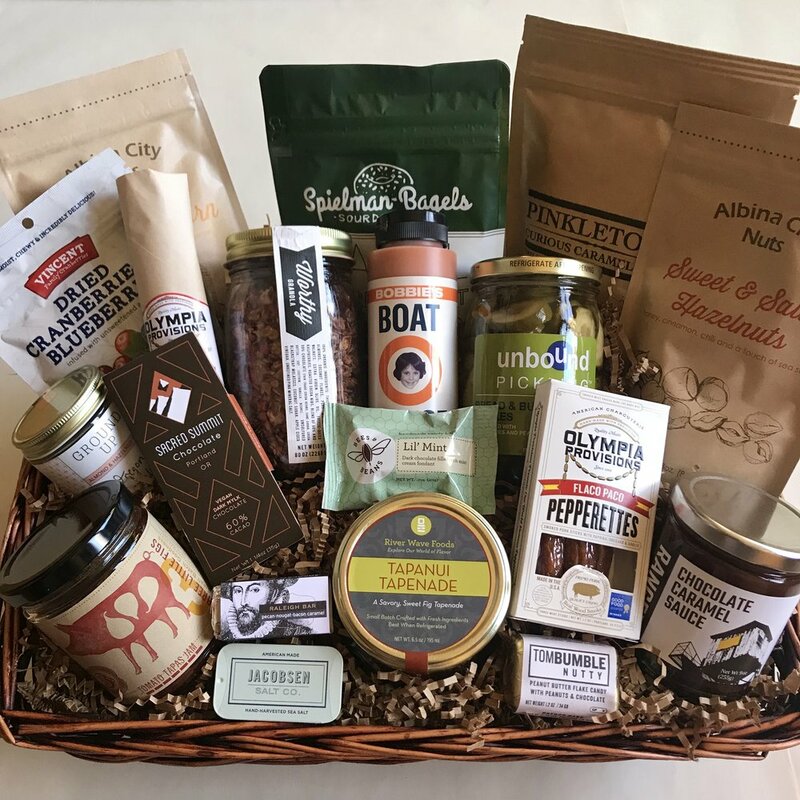 Add Letterpress, Drinks, Sweet or Savory Treats to your gift basket or box. Hello, omnivores. Meat? Yes, please. We've searched all five quadrants for these tasty treasures. Looking for just the right thing? 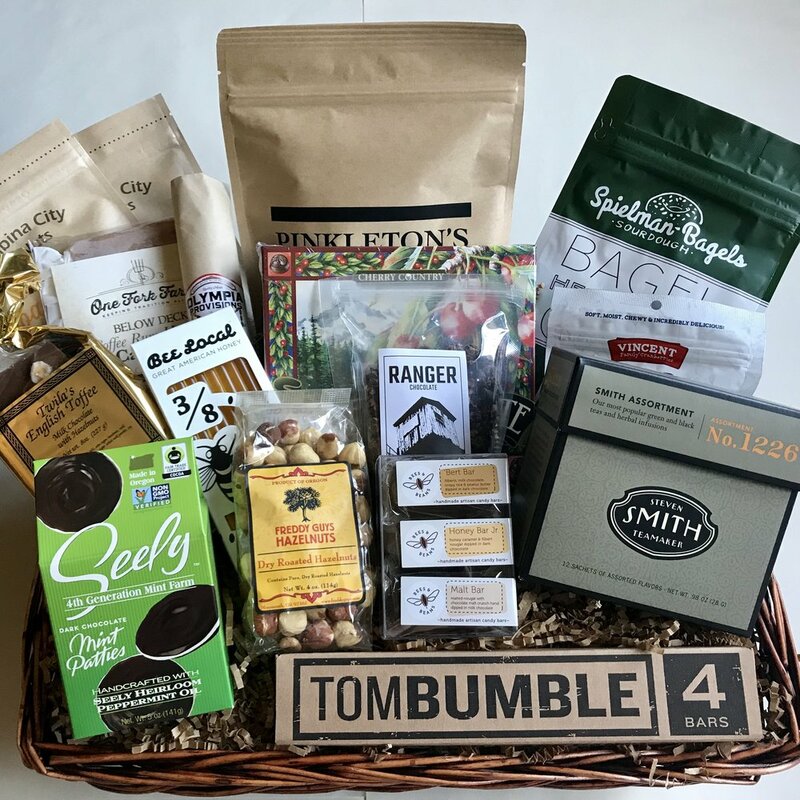 We offer curated gift baskets, gift boxes and gift bags for all of your gifting needs. To send multiple baskets to different addresses, you will need to create separate orders for each address. 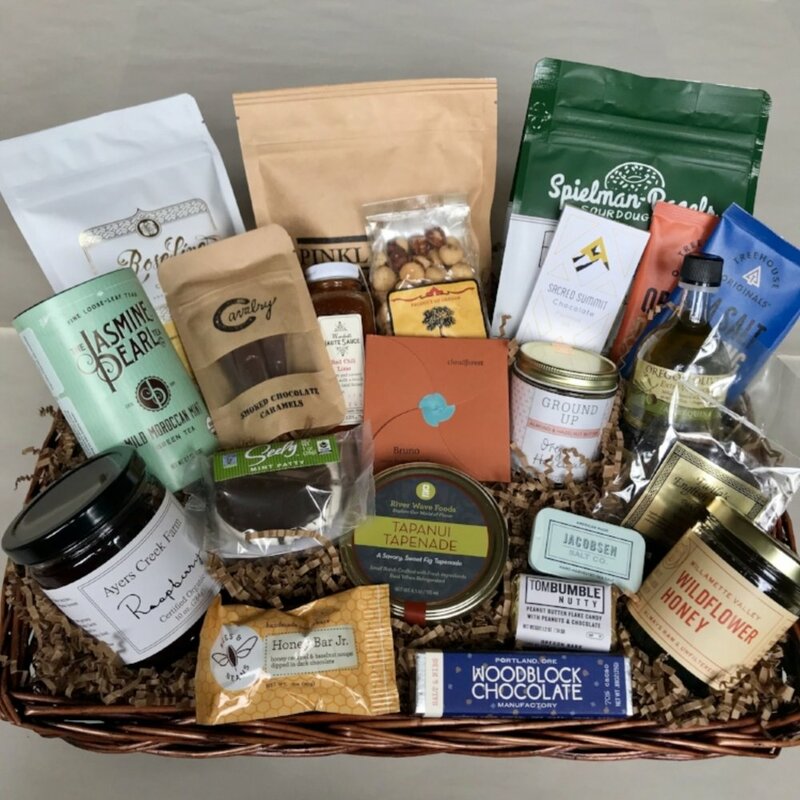 For your convenience, you may also call 503-719-3196 or email us at gwen@giveportlandgifts.com to order.